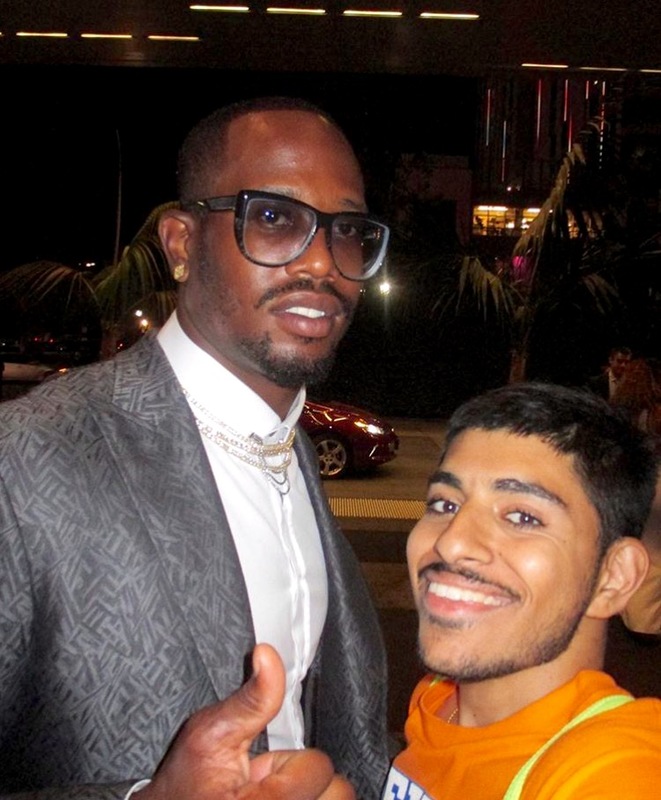 Recently, Instagram handle @seymourmundi sent over this picture featuring himself and Super Bowl 50 MVP/four-time All-Pro linebacker Von Miller. The defensive superstar was sporting one of his signature pairs of glasses, which he often fashions off the field. This photo was taken outside of the Microsoft Theater in downtown Los Angeles, prior to the ESPY Awards. Miller and the Broncos scored a huge Super Bowl upset victory in February over the Panthers, where Miller was named the game’s MVP. Since that February day in Santa Clara, Miller's stature has really grown. This offseason, the Dallas native appeared on ABC's “Dancing with the Stars,” while also posing for ESPN the Magazine’s body issue. Miller also found himself in the news amid the Broncos designating him with the franchise tag. After several months of acrimony between Miller and the team, the 27-year-old recently agreed to a long-term, 6-year deal worth $114 million, $70 million of which is guaranteed.